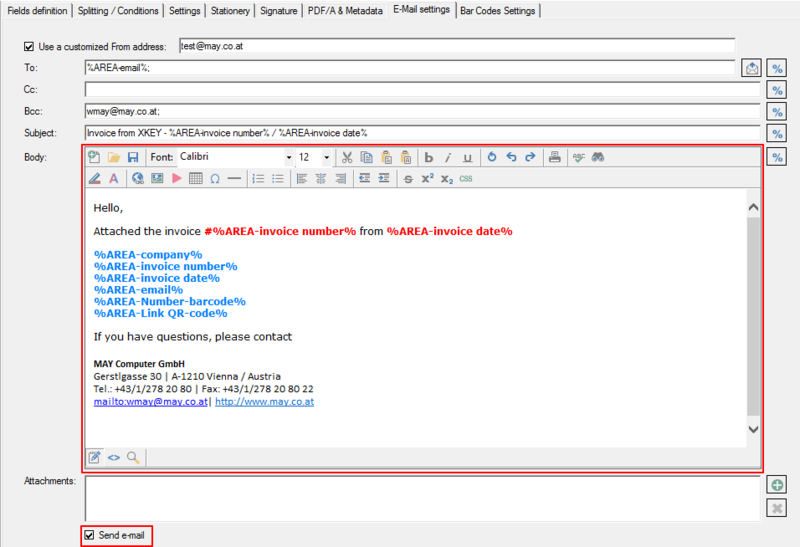 PDFmdx Editor – New HTML editor for the message text of the email function. 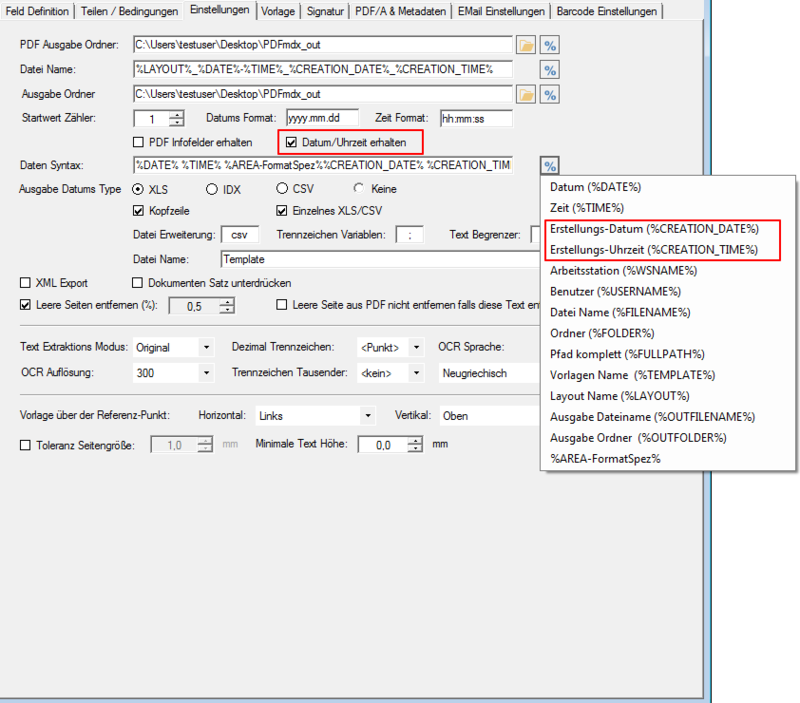 E-mail sending – The option in the PDFmdx editor to activate the e-mail transmission was not visible and therefore could not be activated. The PDF / A converter has been updated. 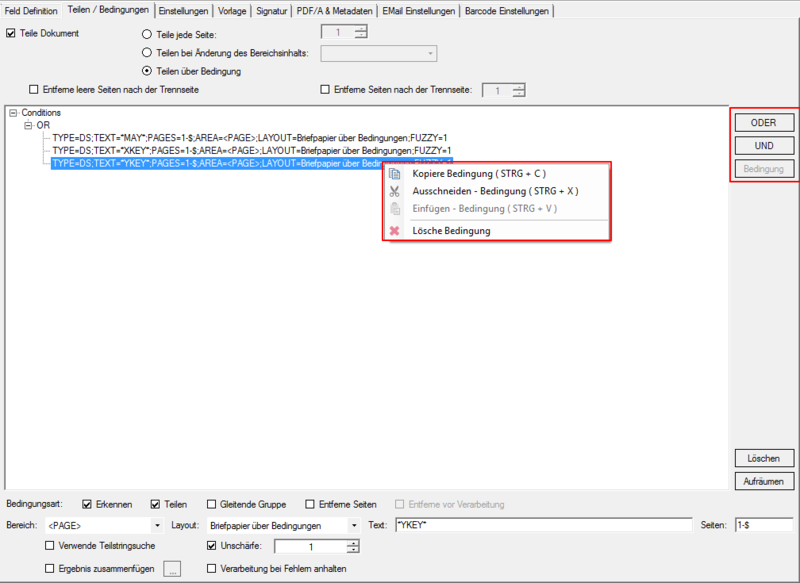 Error Correction in the PDFmdx Editor – An automatic save error was fixed when creating templates. The problem occurred only when you created the first aliases. PDFmdx is now a 64bit version and can only be installed on 64bit Windows versions. This requires the license to “move” on existing installations, that is, to return it to our license server and then retrieve it again. The new version also requires the .NET Runtime version 4. 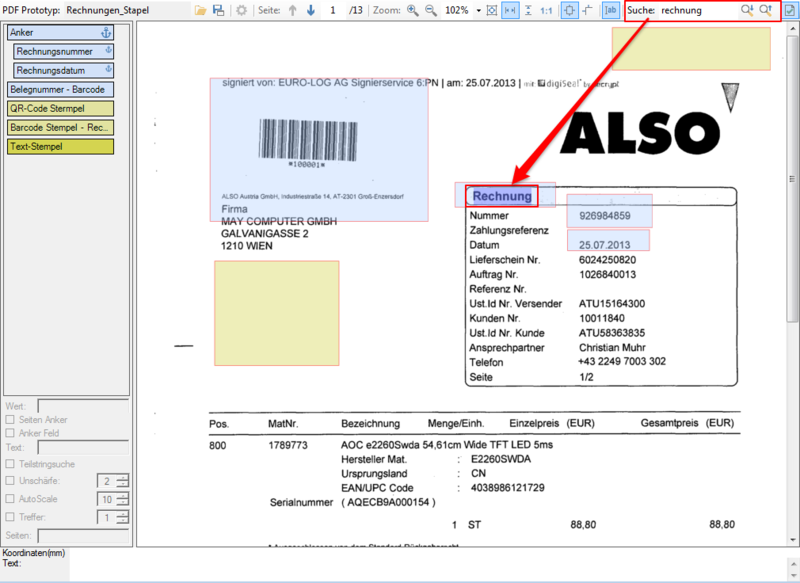 Extended list of supported 1D and 2D bar codes to detect barcodes and apply to the document. New and improved feature to automatically detect and remove blank pages in black-and-white and color PDF documents. The percentage of the blackening serves as a parameter. In addition, the information about text in the background can also be used as a criterion. The test function now also displays the identified blank pages of the selected sample document as well as their degree of blackening. Empty pages are removed at the very beginning of PDFmdx processing. You can sort the evaluation list of the blank recognition by the displayed columns in ascending or descending order. 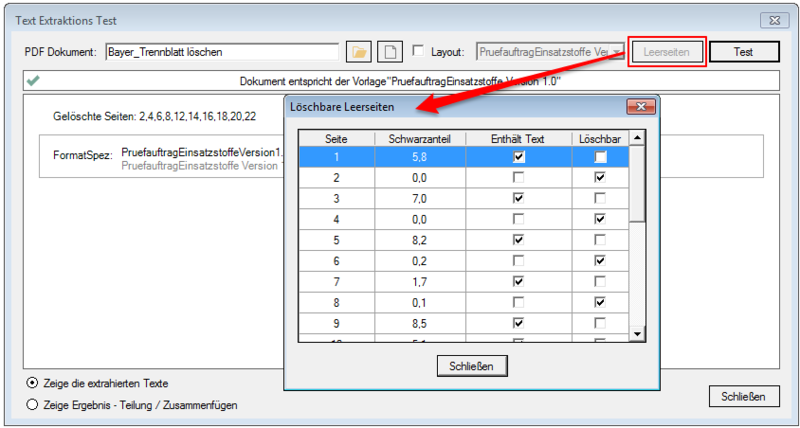 In the test from the PDFmdx editor, the name of the layout identified by the D condition is now displayed. 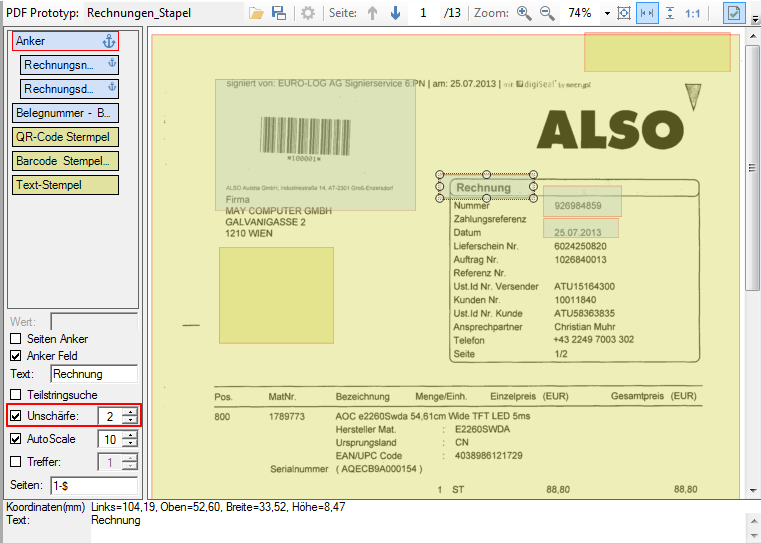 This can be used to determine whether and which layout is recognized with the document being tested. 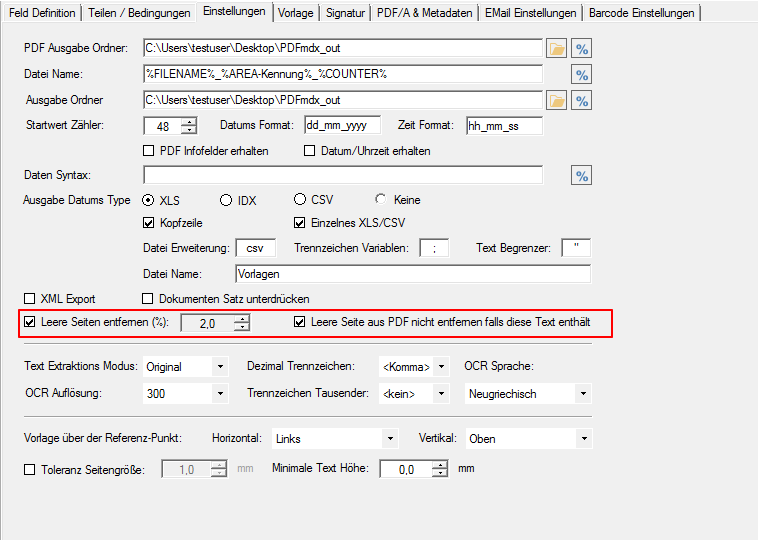 Simplified collection and modification of the conditions in the PDFmdx editor, eg. an AND / OR condition can now be inserted at the start node. Under the conditions, the page range definition is now processed correctly. Fuzzy / approximation search for conditions and anchor fields. Specifies how many characters a deviation from the specified string is still accepted – is available with the deactivated substring search. Text areas / fields will now also be read out if the text box in the PDF exceeds the visible page margin. 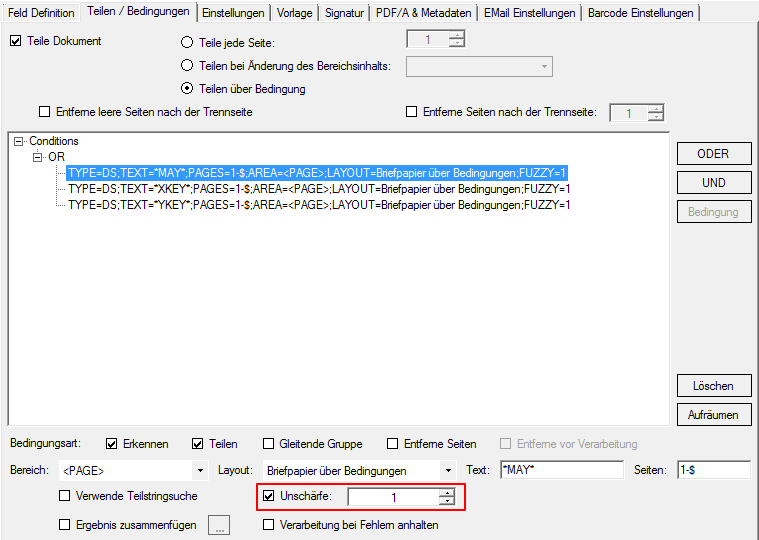 Text search and selection / copy function: In the preview of the PDFmdx editor, a text can be searched forward or backward in the entire document. 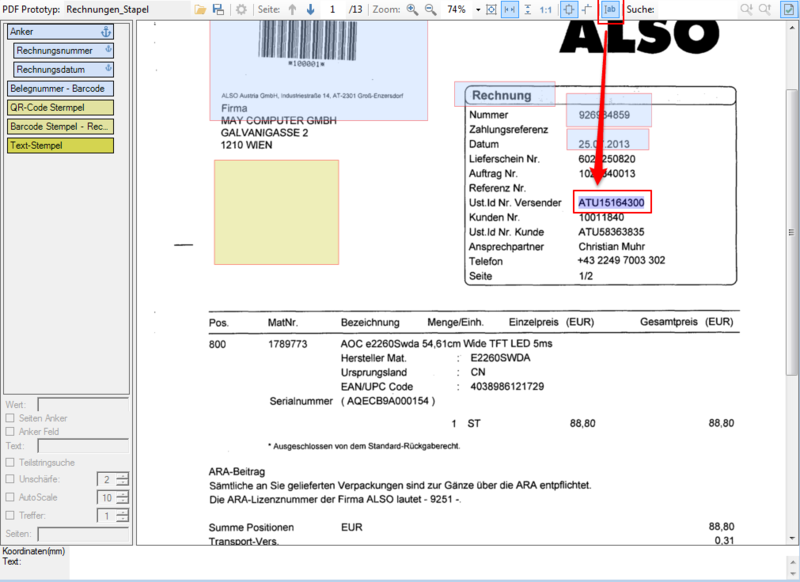 The text location found is highlighted. It is now also possible to highlight text in the editor and copy it to the clipboard. Function to accept and maintain the creation date or time of the output file for the target file. 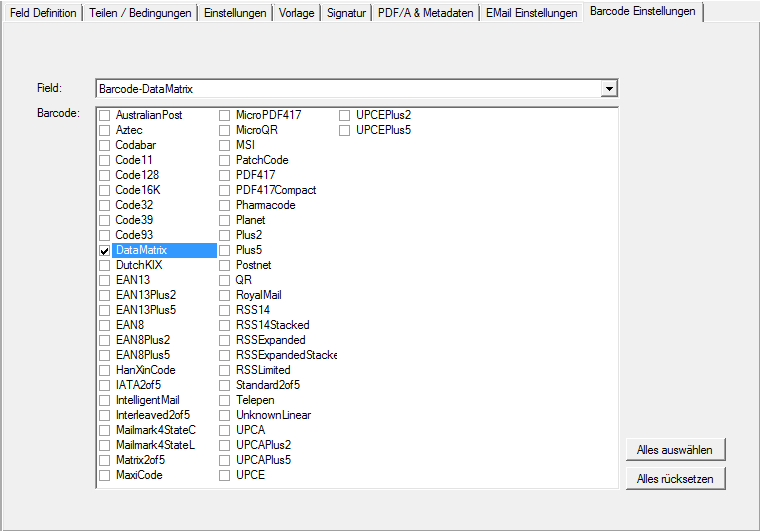 This information also includes variables for the path / file name as well as for the metadata output, for example over XLS available. When the variable for the filename of the input file is used, the filenames’ uppercase / lowercase is retained – so far the file name has always been converted to lowercase. 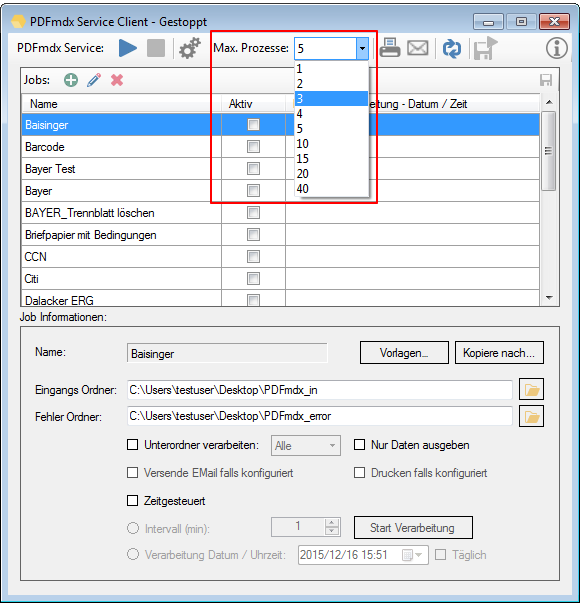 In the PDFmdx service processor, the max. Number of parallel processes of 1,2,3,4,5,10, Previously, the minimum value of 5 was up. 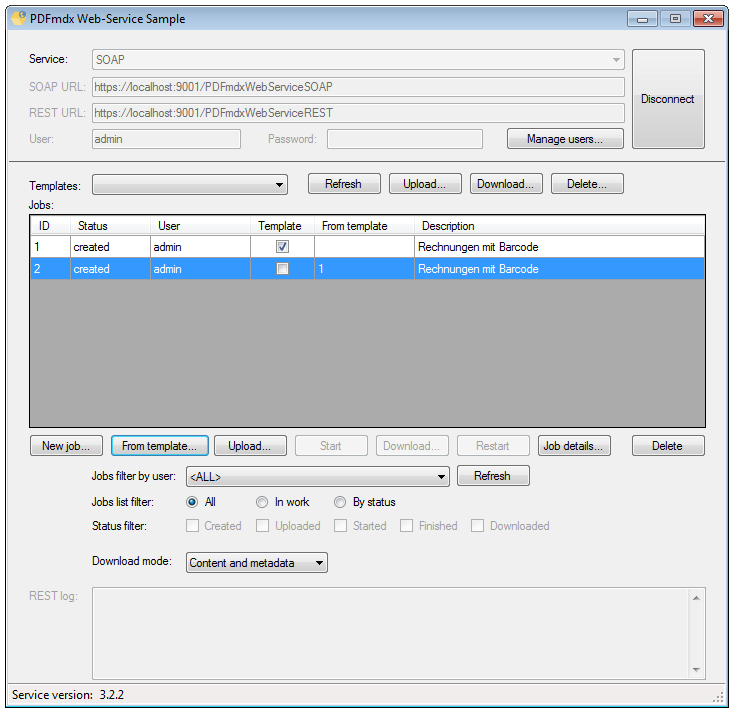 The Web service interface via REST / SOAP is activated by default during installation. 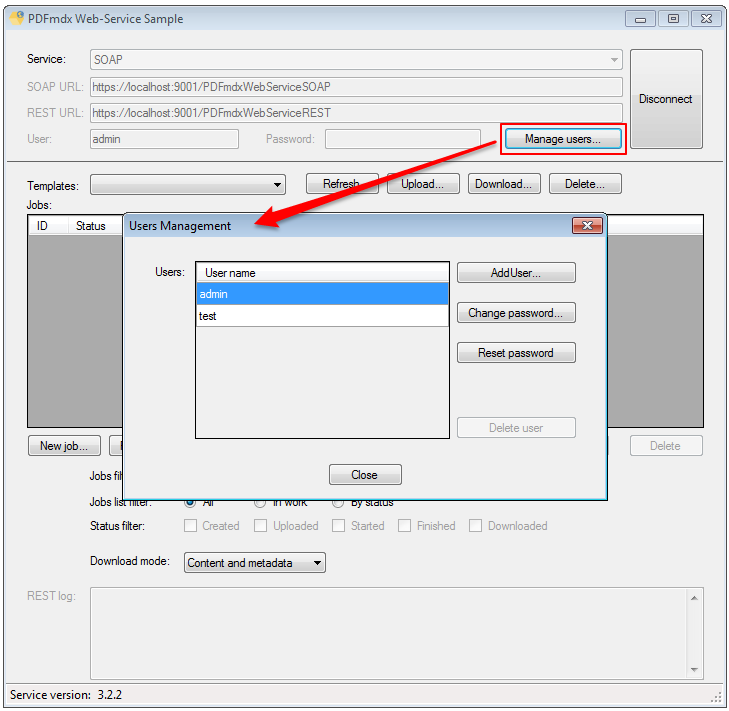 New web service functions (REST / SOAP) for user and job template management. 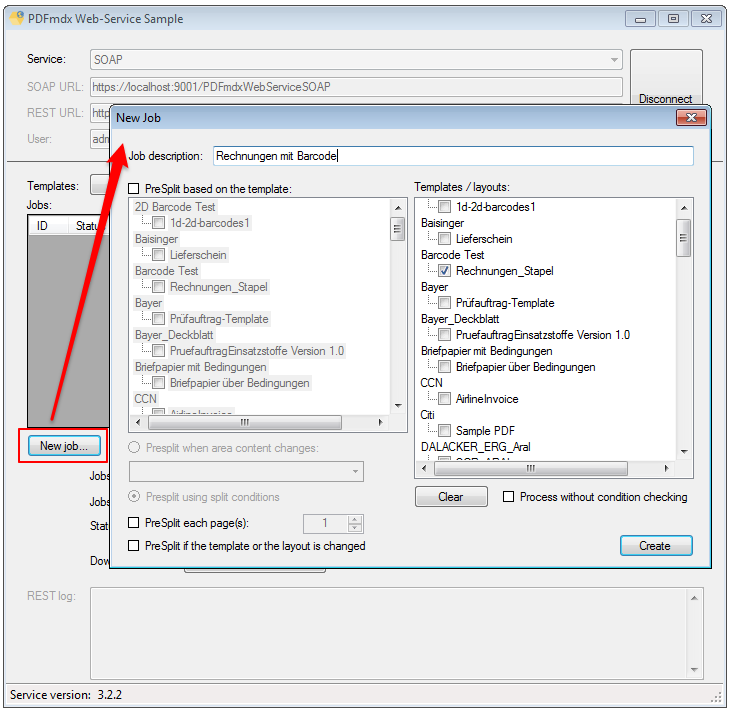 The new features are included in the included .NET / C # sample project and can be tested with it. These extensions are required to implement the future PDFmdx Commandline application. user management – Create New Users, Delete, Reset Password / New, so far, there is only one “admin” user. Now it is also possible to create additional users. The jobs and the job templates are managed on the basis of the users. Additional users can be created via the “Admin”. The “admin” password can be reset by the PDFmdx service processor. 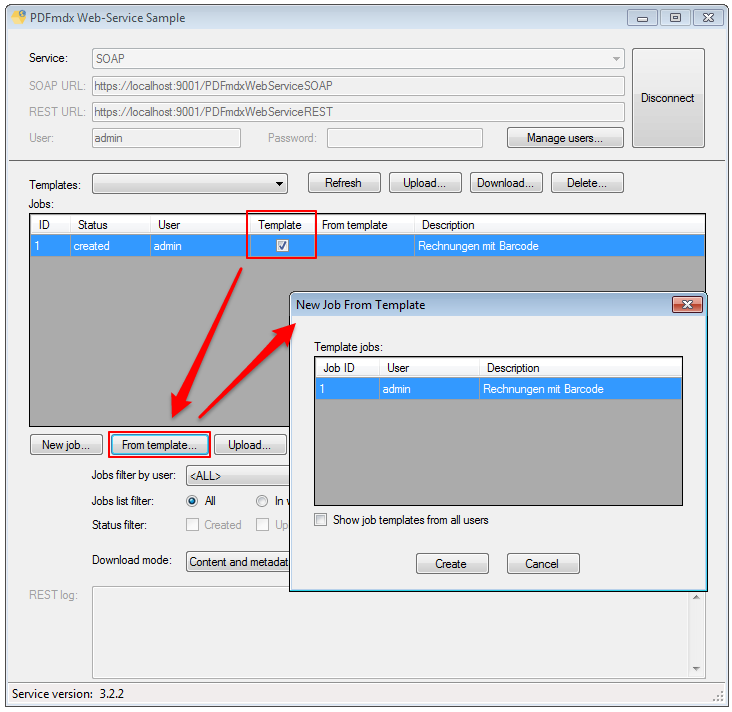 Job-Template Function – To create new jobs via the web service interface simply without much configuration effort, there is now also the possibility to use job templates. Job templates serve as a reference for new jobs. An existing job can be made via a checkbox to a job template. Jobs created via a template are referenced.